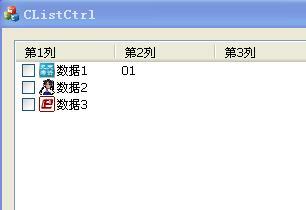 HDN_ITEMCLICK 就是Header control Notify message for mouse left click on the Header control! // Sort the item in reverse alphabetical order. // The pointer to my list view control. // Sort the list view items using my callback procedure. If you don’t want to allow the users to sort the list by clicking on the header, you can use the style LVS_NOSORTHEADER. However, if you do want to allow sorting, you do not specify the LVS_NOSORTHEADER. The control, though, does not sort the items. 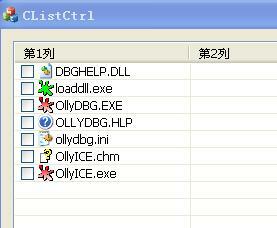 You have to handle the HDN_ITEMCLICK notification from the header control and process it appropriately. In the code below, we have used the sorting function SortTextItems() developed in a previous section. You may choose to sort the items in a different manner. Add two member variables to the CListCtrl. The first variable to track which column has been sorted on, if any. The second variable to track if the sort is ascending or descending. Step 2: Initialize them in the constructor. Initialize nSortedCol to -1 to indicate that no column has been sorted on. If the list is initially sorted, then this variable should reflect that. Actually you need to add two entries. For HDN_ITEMCLICKA and HDN_ITEMCLICKW. Do not use the class wizard to add the entry. For one, you need to add two entries whereas the class wizard will allow you only one. Secondly, the class wizard uses the wrong macro in the entry. It uses ON_NOTIFY_REFLECT() instead of ON_NOTIFY(). Since the HDN_ITEMCLICK is a notification from the header control to the list view control, it is a direct notification and not a reflected one. Note that we specify the same function for both the notification. Actually the program will receive one or the other and not both. What notification it receives will depend on the OS. 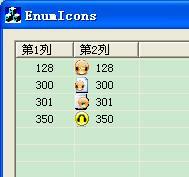 The list view control on Windows 95 will send the ANSI version and the control on NT will send the UNICODE version. Also, note that the second argument is zero. This value filters for the id of the control and we know that header control id is zero. Here’s where you decide what to do when the user clicks on a column header. The expected behaviour is to sort the list based on the values of the items in that column. In this function we have used the SortTextItems() function developed in a previous section. If any of the columns displays numeric or date values, then you would have to provide custom sorting for them.